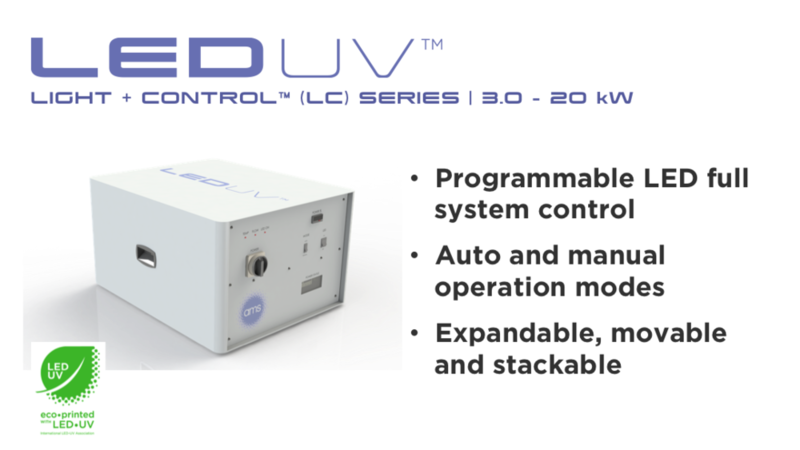 UV LED Offers Amazingly Compact Power Choices. So Does AMS. 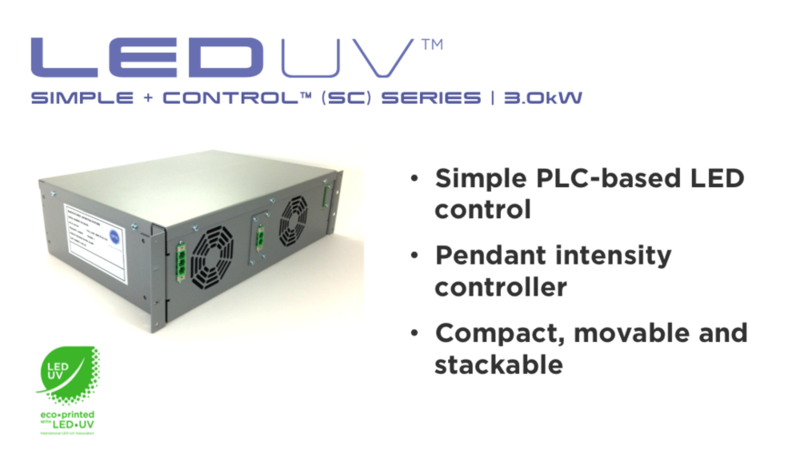 AMS provides multiple LED Power and Control offerings that depend on the production and process requirements intended for the LED UV curing system. From our highest level GL control system with full segmentation and rich system diagnosis and feedback, to our programmable LC and basic SC control options with automatic or manual control ability, we have you covered. AMS power and control choices are designed to fit a number of application scenarios ranging from single to multi-lamp sheetfed, single to multi-lamp web, narrow web, inkjet and others. AMS LED Light + Control (LC) Power Systems are compact, modular and programmable, and provide total turn-key control over AMS LED UV Systems. Multiple UV LED lamps can operate from a single LED LC Series Power System.